Six days following his return from a research trip into rural Spain, Doctor Anthony Vestagé, Professor of Occult Studies was due to deliver a lecture pertaining to the findings of his investigation. He never arrived at the lecture hall. In fact, he had vanished without a trace. The good Doctor was researching a cult, which was believed to have dated back to the time of the inquisition. The doctor was seen by a student, one James Aurthur, arriving via train to the University clutching a small crate beneath his harm, muttering to himself. He was then seen by several of the custodial staff entering his office, locking the door behind himself. The staff did not remark his departure that night, and his office remained locked for the remainder of the week. After failing to appear at his lecture, and several unsuccessful attempts to contact him, the Doctor's Wife, Agnes, consented to a search of his office. Upon entering, authorities remarked that there was a sudden rush of air, as if the room was pressurized, which was followed by a faint but lingering order of sulfur and sea air. The office was disheveled though no more than usual. Upon the desk was the pried apart remains of the Doctor's mysterious crate, which was empty save for some packing straw. 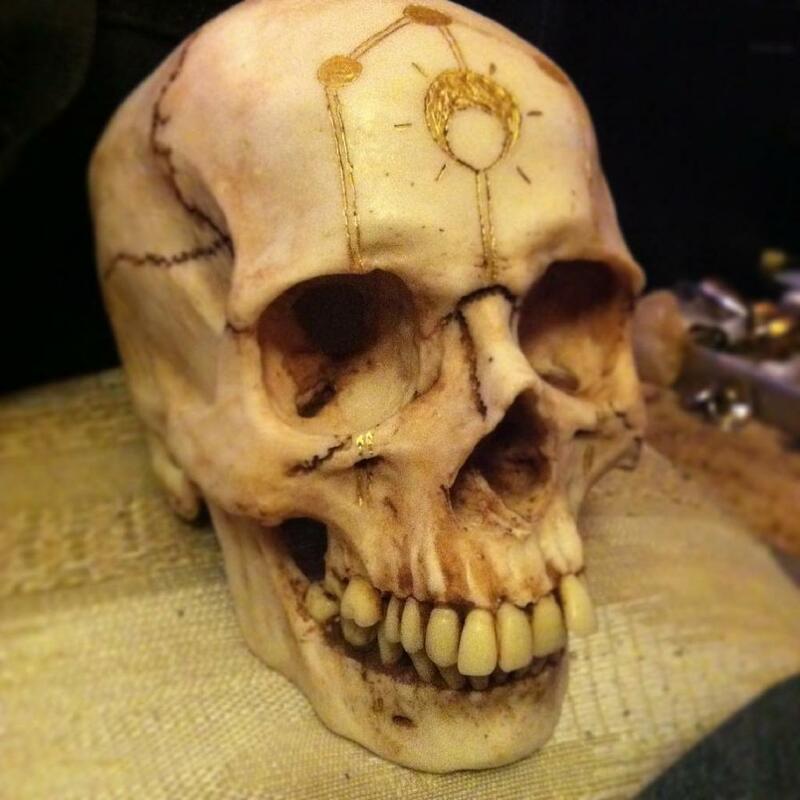 Next to it sat a strange human skull, etched and gilt with an odd pattern of lines and celestial bodies. The skull sat atop a note, scrawled with one word, or perhaps a name, "Örñe". The Good Doctor Vestagé has never been heard from again. The skull was taken as evidence, however, it was soon stolen by a Police Sergeant, who also disappeared shortly after. The skull resurfaced years later in the private collection of one Roger Daggett, after his death.